While I tend to grill a wide variety of vegetables, eggplant always seems to pop up on a pretty regular basis. Eggplant is great sliced and topped with feta, smoked for babaganoush, or grilled on its own. 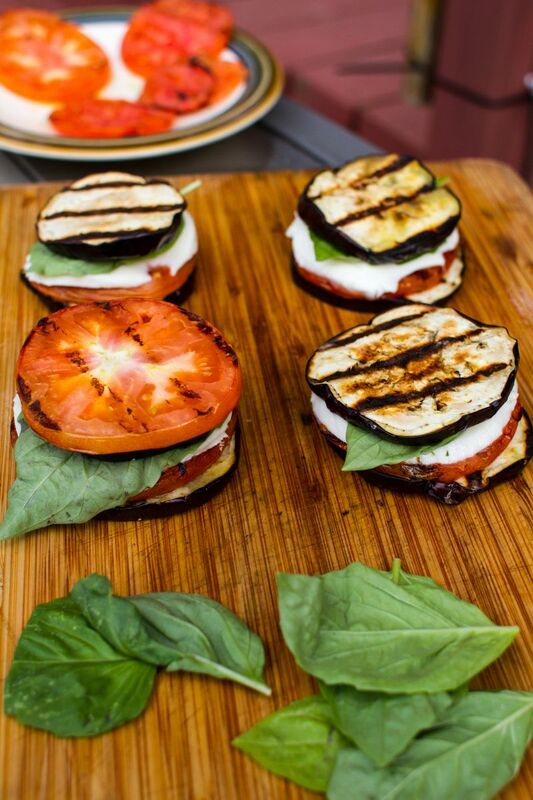 However, there is one recipe I can’t get enough: Grilled Eggplant Caprese Salad. It is simple, fresh, and certain to please. 1. Slice the tomatoes, mozzarella, and eggplants into ¼ inch slices. 2. Prep the grill for medium-high direct heat. 3. Generously salt the tomato and eggplant slices and brush with olive oil. 4. 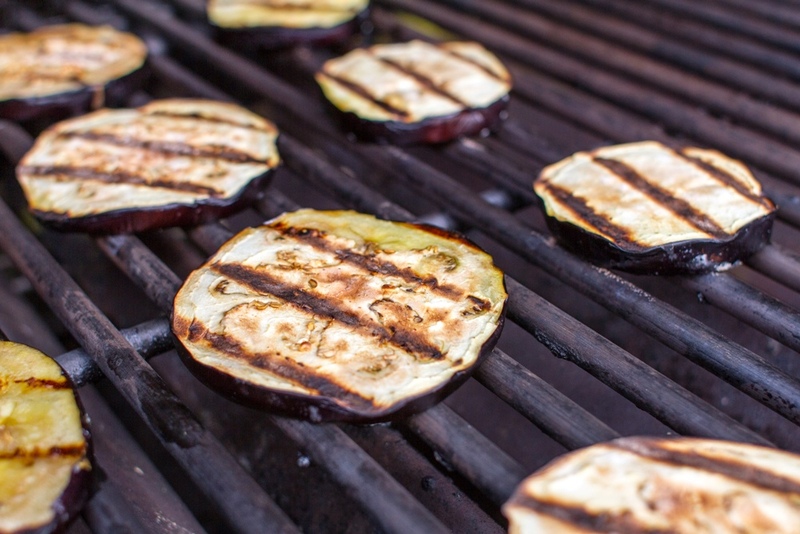 Grill the tomato and eggplant slices over direct heat for approximately 3 minutes. Flip and grill an additional 2 minutes. For an added kick, drizzle with your favorite vinaigrette. While this is meant to be an appetizer, it can be a meal all by itself.